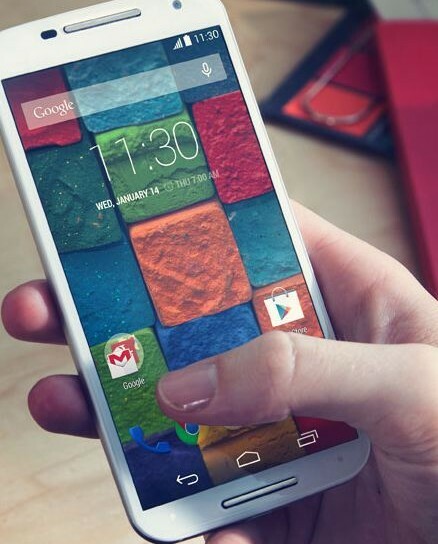 Along with the Moto G (Gen 2) and Moto 360, Motorola has just introduced the much-awaited 2nd gen Moto X. The new Moto X is bigger, bulkier and it boasts a number of new features and designs that should definitely increase X’s demand. The new Moto X is not much bigger than the previous one, with a 5.2 inch AMOLED display and it is still protected by Gorilla Glass. 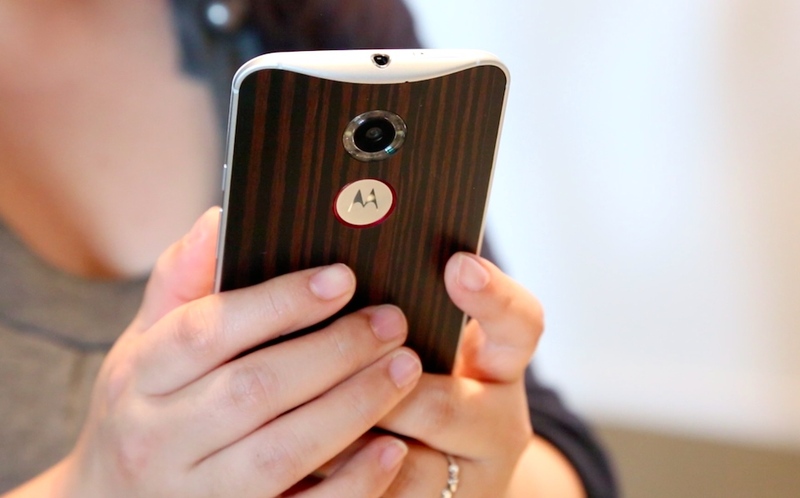 Moto X 2nd gen is about 0.5 inch wider than last year’s X. However, the refreshed model sports a 1080p full HD display instead of a 720p one. 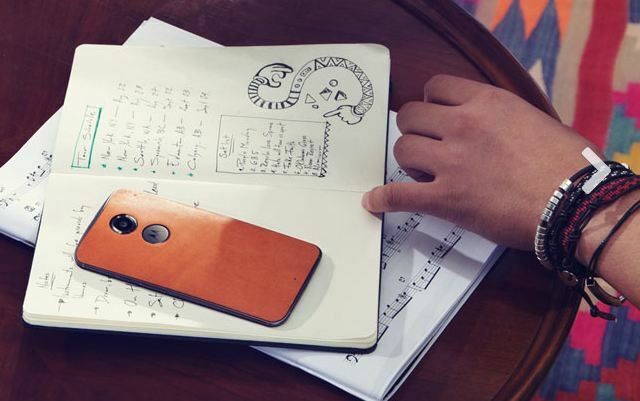 Motorola has kept the Moto Maker customization option alive with a new leather option for new Moto X. Additionally, Moto Maker also now lets you add metal accents to power and volume buttons, speaker grills and the Motorola logo on the back. It essentially maintains a rolling photo cache in the background, constantly capturing additional shots before and after a photo is taken. An algorithm then analyzes those photos to find what it thinks is the “best shot,” filtering out blurry shots or pics of people blinking. You can choose the picture selected by the feature or the original one. Another new camera feature is the “Highlight Reel,” which essentially compiles all of your day’s photos and videos into a single video collage much like Google+ photo highlights. 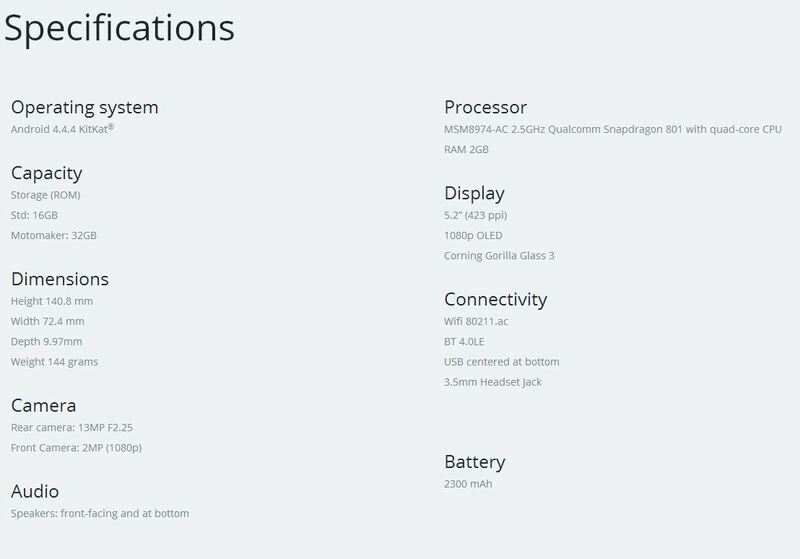 One the software side, new Moto X comes with hand full of softwares same as older Moto X including Migration tool and some of the tools like Touchless Control, Active Display and Motorola Assist have been renamed in the new Moto X as Moto Actions, Moto Display and Moto Assist respectively. Another great iteration in the new Moto X is that instead of ‘OK Google’ as a voice prompt, you can customize the voice command prompt to anything you like. The company said that they have more than 1.6 million devices stocked for Indian market which only means they will have enough stocks this time. Pricing details are not yet revealed by the company. The new Moto X will go on sale in late september along with Moto 360.